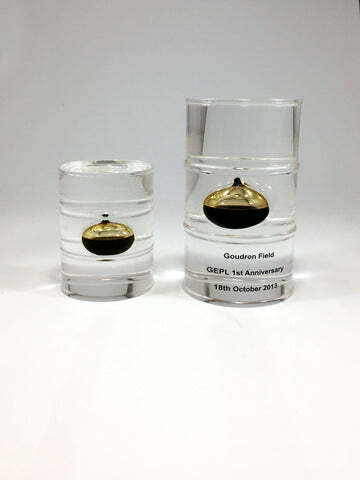 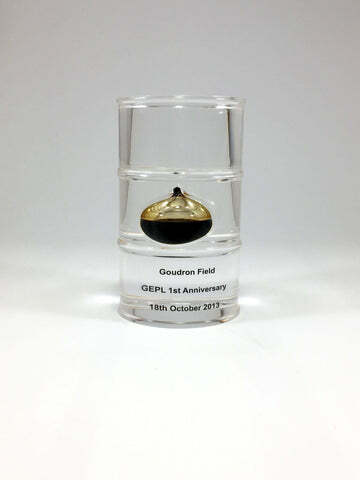 One of our latest bespoke awards, the Acrylic Oil Drum Deal Toy is the result of years of R&D. Not only does the financial tombstone break the mould in terms of the engineering behind it, but this modern, visually spectacular award is a nod to the movers and shakers of one of the world's biggest oil companies. 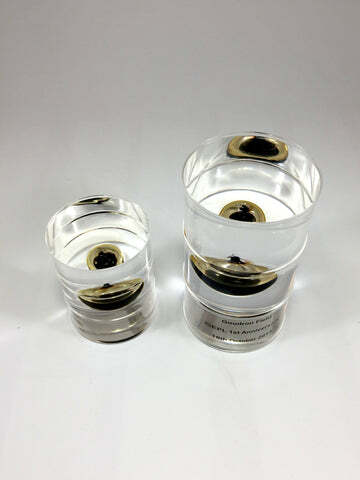 Machined and polished to look like a crude oil drum, the award features crude oil encapsulated within acrylic. To finish the award, the details of the deal and partners were hand engraved and with the inscription infilled to celebrate the feat.